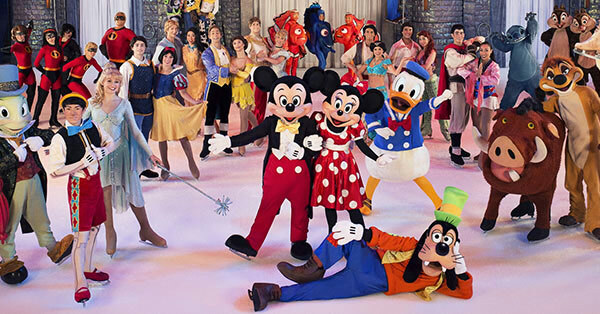 Disney on Ice: 100 Years of Magic is coming to a venue near you! Purchase Disney On Ice: 100 Years of Magic tickets from Ticket Galaxy to see your favorite Disney stars on the ice! Disney on Ice: 100 Years of Magic is an ice show celebrating the centennial anniversary of the Disney company. Led by Mickey Mouse, the show includes favorites such as 'Frozen's Olaf, the Disney Princesses, 'Toy Story,' 'Finding Nemo,' 'The Lion King,' 'Beauty and the Beast,' 'Aladdin,' and more! Purchase Disney on Ice: 100 Years of Magic tickets from Ticket Galaxy to see the ice show celebration for yourself!